Donald Trump and Kim Jong-un met in Singapore on June 12, marking an historic shift in US-DPRK relations. Sputnik has gathered key facts about the summit that took place despite the odds and decades of mutual mistrust between the two countries. The summit started with the two leaders meeting each other on the red carpet in front of flags after months of preparations and one "rain check" taken by the sides. 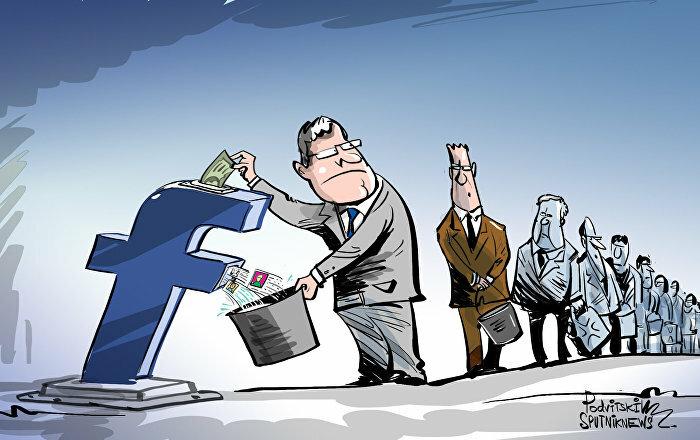 The handshake lasted for about 13 seconds and has been branded historic by many social networks users. According to reports, North Korea's leader greeted his US counterpart in English. Body language experts noted that during the joint walk and while sitting in the negotiating room, both leaders emanated an aura of friendship, openness and warmth. Kim Jong-un and Trump had a 40-minute dialogue in private, followed by a working lunch, where their advisors, Secretary of State Mike Pompeo, National Security Adviser John Bolton, former spy chief Kim Yong-chol, and Foreign Minister Ri Yong-ho joined them. The lunch itself reportedly consisted of both Western and Korean dishes, such as stuffed cucumbers and a soy-braised fish. Following the negotiations, Kim Jong-un and Donald Trump signed what the latter called a "pretty comprehensive document," which marked the verge of a "major change" for the world as his Korean counterpart described it. The agreement signed by the two contains four points: re-starting US-N. Korean relations for the sake of mutual prosperity, the DPRK's demilitarization and denuclearization of the whole peninsula, joint efforts for reaching peace on the Korean Peninsula and also the recovery of the remains of prisoners of war and soldiers who went missing in action during the days of the Korean War (1950-1953). The document's text reportedly doesn't contain the formula "complete, verifiable and irreversible denuclearization," but it contains a reaffirmation of the Panmunjom Declaration for Peace, Prosperity and Unification of the Korean Peninsula adopted on April 27, 2018 during the inter-Korean summit. At the same time, Trump said during his press conference that Pyongyang had already destroyed a major nuclear engine test site, citing the words of the DPRK leader. Trump also promised to stop military drills with South Korea if talks with its northern counterpart progress successfully. The AFP News agency has claimed that the document includes "security guarantees" for North Korea, but didn't provide any specifics. Trump spoke extensively with the press after the historic meeting concluded. He thanked Kim Jong-un for "stepping toward a bright future" and called him an honest, direct and "productive" person. He even expressed his readiness to invite him to the White House at some point in the future. Commenting on the sanctions issue, Trump said that they are to stay in place for now, but he expressed his readiness to lift them as soon as the DPRK finishes its denuclearization. Although Chairman Kim left the summit soon after its end, he made use of the opportunity before the meeting began to get acquainted with life in Singapore. 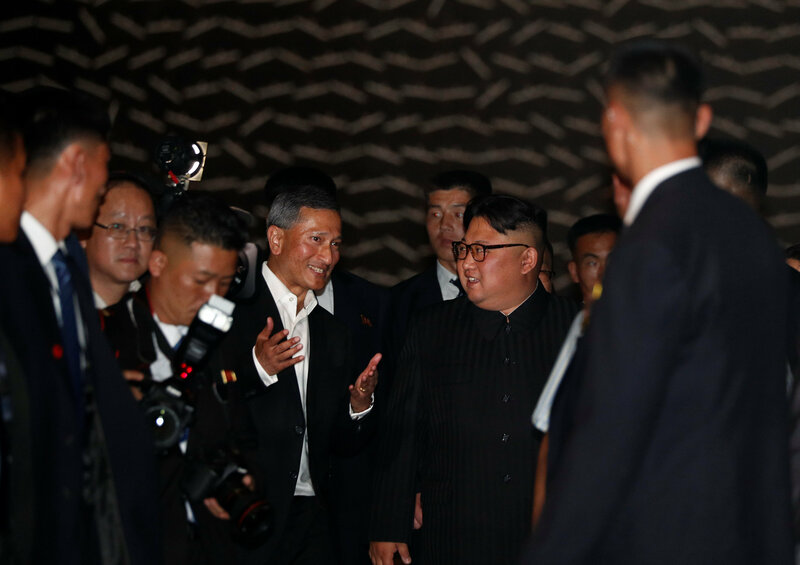 Kim took a stroll around Marina Bay Sands hotel and casino, where he was reportedly cheered by bystanders who caught a glimpse of him. The only thing that cast a shadow over the event, was news that the US president's top economic adviser Larry Kudlow had suffered a heart attack minutes before Trump met Kim Jong-un. Fortunately, he was given proper and timely medical attention and is now "doing fine," according to his wife.